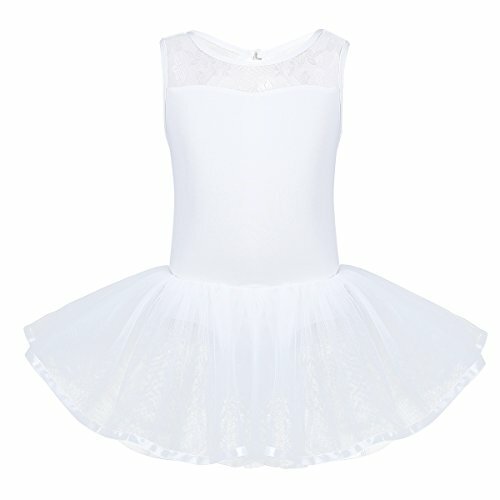 Girl's Ballet Dance Leotard Tutu Dress. Material: Polyester, Cotton, Mesh. Stretchy top bodice, spliced floral pattern shoulder straps. Cutout back design with clasp closure for easy dressing. 3 layers mesh skirt with built-in knickers.